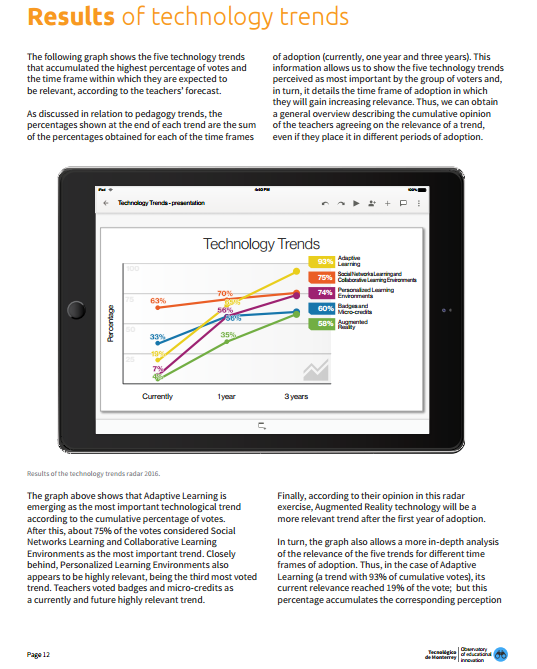 The world is changing at an increasingly faster pace and education is no exception. New challenges in the educational sector need to be addressed faster than ever, requiring institutions to be better informed to anticipate changes and keep one step ahead. In light of this, Tecnológico de Monterrey’s Observatory of Educational Innovation has created the High School Educational Innovation Radar, which aims to identify the most relevant pedagogy and technology trends in high school education in the near future.